New DOE rules mandate more efficient (and expensive) equipment. Subba Nishtala is director of professional services at Enporion. Email him at: snishtala@enporion.com. Karen Gregg Price is marketing programs manager at Enporion. Email her at: kprice@enporion.com. When a federal court ordered the DOE to develop more than 20 energy-efficiency rules,1 the first rule DOE created was a commercial rule for energy transformer distribution equipment. The new DOE rule, published at the end of last year, is the first increased efficiency standard created since the beginning of the Bush administration in 2001.2 Transformers were high on the list possibly because upgrading them puts the burden on businesses as opposed to the consumer, at least initially, to bear the costs of efficiency improvements. 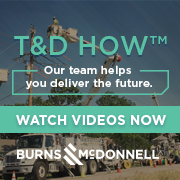 In the final rule for distribution transformers, DOE determined that energy-conservation standards for liquid-immersed and medium-voltage, dry-type distribution transformers result in significant conservation of energy. Furthermore, DOE determined these new standards technically are feasible and economically justified. The new standards will go into effect on Jan. 1, 2010.